Whatever your industry or line of business, the records that your company keeps are of vital importance. From patient or customer information to financial data, the important records that you retain from year to year require organization and safe-keeping to ensure that they’re readily accessible to your team when you need them. 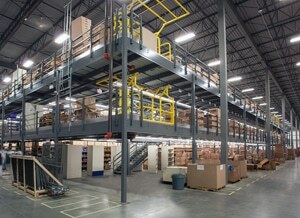 For more than 50 years, REB Storage Systems International has helped companies with the design and installation of sophisticated Catwalk and Order Picker Record Storage Systems for both commercial (business that store cartons for corporations) and corporate (business that store their own cartons) records centers. Our systems are designed to not only maximize your facilities storage but also to make the system safe and efficient for employees to access the cartons. 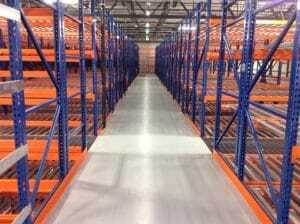 Do you need a material handling solution for your records storage facility? 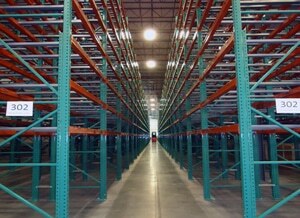 Each records storage space is unique with its own layout and conditions and presents its own individual set of challenges that must be overcome to ensure the safety and accessibility of the records they contain. Our Project Management and Engineering Team works with you every step of the way; from designing the optimal storage solution for your needs, managing subcontractors, shipping co-ordination, installation and final permitting. We also work with fire consultants to determine proper aisle widths based on fire safety codes. 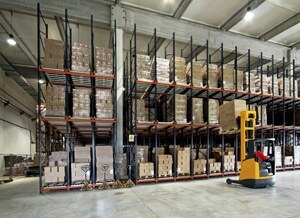 Do you want to utilize Order Picker Vehicles? What storage configuration will best suit you (2 high x 2 deep, 2 high x 3 deep, 3 high x 2 deep, 3 high x 3 deep, 4 high x 3 deep)? 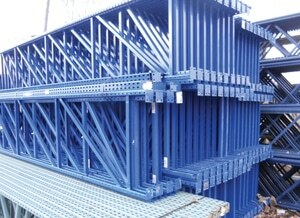 What type of decking is required (solid, open, wire, punch deck, SnapShelf)? Can the system be designed with new and used material to help lower the per box price? Is an open file type shelving design desired in the system? 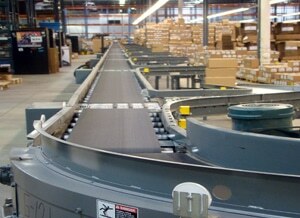 If an Order Picker System is preferred, what type of guiderail will be utilized to better guide the OPV’s? 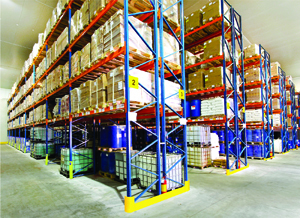 If a Catwalk System is preferred, how many stairways, pallet drops, main aisles, VRCs, and chutes should be designed into the system? At REB Storage Systems International we have been designing and building record archive storage systems for over 50 years. During that time, we have developed a reputation for innovative design, product integrity, and timely delivery. As a result, numerous major commercial record centers across the United States and Canada, as well as many Fortune 500 companies have selected us as their exclusive record storage system supplier. We subscribe to and support the policies of the International Warehouse and Logistics Association (IWLA), American Moving and Storage Association (AMSA), Inside Self Storage Association (ISS), Professional Record and Information Services Management (PRISM International), and the Association of Records Managers and Administrators (ARMA). 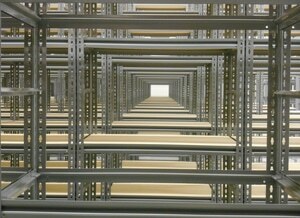 DO YOU NEED A RACKING OR SHELVING SYSTEM FOR RECORDS STORAGE? 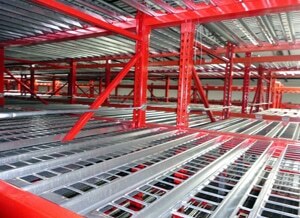 If you need a complete rack system designed for records storage, we can help. We've been working with the records storage industry for more than 50 years.